Looking for Maintenance Free living?...This is it! The 1st floor has a plenty-of-room Living room with a ‘welcoming’ brick fireplace, a ½ Bath, a convenient kitchen with a bar/counter that opens to the Dining room and Deck. 3 nice size Bedrooms are on the 2nd floor with 2 full Baths. The downstairs basement has a Utility/Laundry/Workbench/Storage room; there is also the finished Family room, ½ Bath and sliding doors to your private patio ready for those bar-b-ques. Everything has been newly painted, lots of new flooring & carpeting. All Appliances convey As-Is. 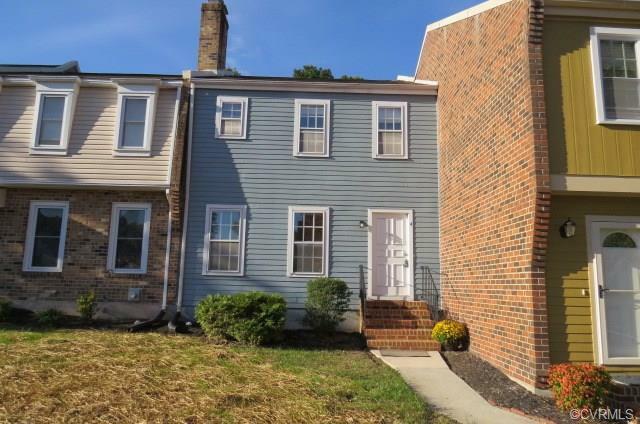 Close to Parks, Schools and the mall. All Exterior Maintenance including the townhouse & grounds are covered in your monthly HOA fees. Maintenance Free living! Directions: North On Conduit Rd. ; L Onto Windmere Dr; R Onto Brandywine Rd; L Onto Brandywine Ct - 4th Townhouse On Left.